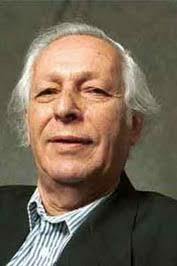 Samir Amin Young Scholars’ Prize in Political Economy of Development. Agrarian South: Journal of Political Economy is pleased to announce the inauguration of the Samir Amin Young Scholars’ Prize in Political Economy of Development. The prize is instituted in honour of the exemplary intellectual courage and pathbreaking contribution of Samir Amin to the study of the capitalist world economy and the challenges faced especially by the peoples of the South. The prize will be awarded annually by the Editorial Board of the journal to a young scholar for a previously unpublished article submitted expressly for this prize. Eligible scholars must be enrolled in a Masters or Doctoral programme, or have received a Doctoral degree no more than five years prior to submission of the article. Women are particularly encouraged to participate. Articles will be received via online submission, to be provided on the journal’s homepage (https://journals.sagepub.com/home/ags). The deadline for submission is 1 August 2019. Relevant documentation in fulfillment of eligibility criteria must be provided. It is preferable that articles be submitted in English, although articles in Portuguese, Spanish and French will also be considered. The prize will consist in publication of the article in Agrarian South and, circumstances permitting, an invitation with all expenses paid to present the article at the annual Summer School organized jointly by the Agrarian South Network and the Sam Moyo African Institute for Agrarian Studies, in Harare, Zimbabwe. Further information may be obtained via email at agrariansouth@gmail.com. Since 2016, the Sam Moyo African Institute for Agrarian Studies (SMAIAS) has been collaborating with the Food and Agriculture Organisation of the United Nations (FAO) to support the agrarian and rural transformation in developing countries. Specifically, to seek transition that would reduce inequality of access to rural land rights, increase rural employment opportunities, help to eradicate rural poverty and improve the sustainable livelihoods of the poor. The overall goal of the cooperation is to promote family farming policies and multi-stakeholders’ dialogues with emphasis on aspects of access and the right to land through multidisciplinary research, policy dialogues, training, networking and information dissemination. To date the partnership has seen the successful implementation of four agrarian summer schools, a tri-continental research project on contract farming as well as the successful hosting of an International Symposium on Contract Farming (CF) which was held from the 8th to the 9th of November 2018 in Harare. With additional support from other partners such as OSISA, the agreement has promoted dialogue and training on various themes through the Agrarian Summer School on : “Progressive Social Forces, Social Movements, Collective Actions and Gender in the Contemporary Agrarian Transformations in the South” (2016), “Labour Questions in the Contemporary Global South” (2017), “Global Agricultural Value Networks and Contract Farming in the Contemporary South”(2018), and “Social Policy in the Global South: The Challenges of Socio-economic justice and Agro-ecological Development”(2019). In 2018, research was undertaken on CF in Africa, Asia and Latin America in an effort to address ambiguities in literature about its implications on the livelihoods of the diverse farm classes. The proponents of CF claim that participation in it may result in unprecedented opportunities for the farmers like access to markets, inputs, credit, technology, assured prices, increase in income and family employment and better risk management, thus, giving them an edge over the traditional marketing. However, its critics argue that the asymmetric powers between the firms and the farmers in contractual relationship may lead to exploitation of the latter. Further, it may displace the decision-making powers of the farmers as the multinational corporations (MNCs) gain an indirect control over the production process with a right over the produce, enabling strategic sourcing of good quality and timely raw material. The broad objective of the study was to identify and analyse different types of economic arrangements at the current juncture pertaining to contract farming prevalent in a few select countries in the Global South, and to examine the outcomes and desirability of such arrangements for various crops, markets, farmers and other economic actors. The research results were presented at the two-day International Symposium on Contract Farming. The first day was dedicated to the presentation of studies on experiences in Argentina, Brazil, India and Zimbabwe and debates led by academia and civil society representatives. The second day was a policy dialogue on contract farming and other inclusive business models and additional participants included representatives of private sector companies (buyers) and producer organizations (farmers). More than one hundred twenty (120) stakeholders drawn from 17 countries across Africa, Asia, Europe and Latin America took part in the two-day event. The research conducted by SMAIAS concluded that, in the overall economic arrangements in CF, it is the asymmetry in the distribution of power and decision-making of various stakeholders that prevails. This position was echoed by many of the participants, including the small-scale farmers themselves. The discussions also noted the inability of producers associations to counter the dominance of MNCs in global value chains, as well as the marginalization of women, youth and generally the labour force that is mobilized in contract farming under precarious conditions. It was also observed that contract farming might initially bring benefits to small farmers, given the void created by the retreat of the state from smallholder agriculture, but such benefits tend to dissipate, with a new cycle of dependence setting in. Adverse environmental impacts, which are not factored into contracts, were also noted. Various stakeholders, finally, highlighted the need to bring the state back into agriculture in support of family farming and the creation of decent employment, pointing to positive experiences with public procurement and state-led contracts in the interest of national food self-sufficiency. The SMAIAS and the Agrarian South Network (ASN) are confident that the support of the FAO for South-South research collaboration will result in the deepening of knowledge among scholars and civil society activists in both North and South, as well as the uplifting of the lives of small-scale family farmers around the world. Prabhat Patnaik delivering the lecture on theme Globalisation and the Peasantry in the South. will start at 18:30 hrs will be held at Bronte Hotel, Harare, Zimbabwe. The Sam Moyo African Institute for Agrarian Studies (SMAIAS) is an independent policy research institution committed to the development of agrarian systems.